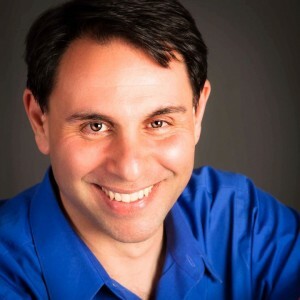 I’m Mark Mezadourian, an intuitive specializing in connecting with the angels and guides. My work encompasses the core of all spiritual traditions – peace and love – and helps people realize their dreams and live a fulfilling life. The goal of the work is to access spirituality from a heart-centered yet practical perspective, and put it into action. Sessions and workshops focus on allowing our connection with angels and guides to be fluid and familiar through technique. Through this, we can create the conditions to live as our authentic and unique selves while we grow, excel and share our gifts with the world. My work with guides and angels began slowly. At first, I would receive guidance mainly through numbers. That evolved into trusting what I received through claircognizance (knowing) and clairsentience (feeling). I attended workshops, read many books, talked with folks on the spiritual path and gradually began listening to the guidance I was receiving. In October, 2003, I attended Doreen Virtue’s Angel Therapy Practitioner ® Course and have been giving readings to others ever since. I was born in Pomona, California on November 30, 1967 and grew up mostly in Palo Alto. Professionally, I have spent my life in the theatre, acting, directing and most recently playwrighting. In January, 1998, my spiritual life began in earnest. Multiple events (my beloved Grandmother’s death, the end of a relationship and my home being violated) piled up, leading to an anxiety attack. That event made it very clear to me that how I lived my life was no longer serving me. My sister, Rachel, introduced me to Doreen Virtue’s work. My family has always been, consciously or not, intuitive and tuned into each other.